The hair is most important to one’s self-esteem and identity. This is a universal symbol of beauty and vitality. 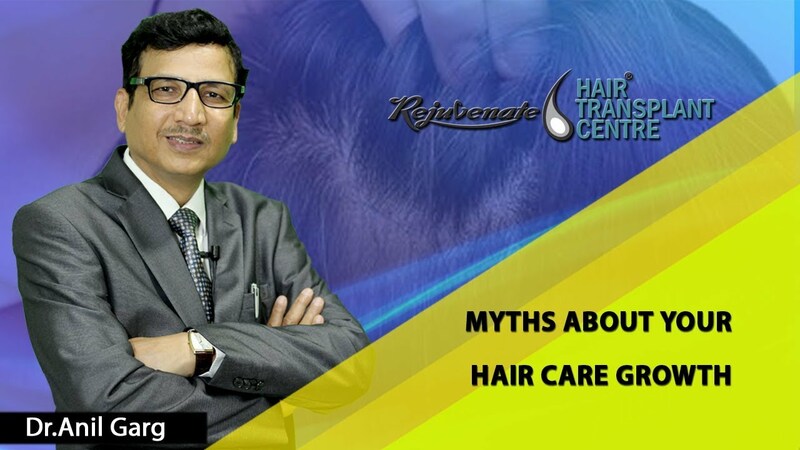 In today’s era hair loss is one of the common problem affecting both men and women. Fortunately, there are effective preventive measures that one can take. If your progressing hair loss is taken care early then there are successful treatments. Hair restoration can be done using medical treatment as well as by surgery. The normal human scalp contains 100,000 to 150,000 follicles that produce thick terminal hair. Humans normally lose about 100 hairs per day. When hair enters its resting phase, growth stops and the bulb detaches from the papilla. The old hair is pushed out as the new shaft starts to grow. When an old hair is shed, a small, white swelling is found at the bottom of the hair shaft. Most people assume that this is the growth centre of the hair, but it is just the club, detached lower end of the hair shaft. The dermal papillae and the growth centre of the hair remain in the scalp. Scalp hair grows at a rate of about 1 to 1.5 cm per month. 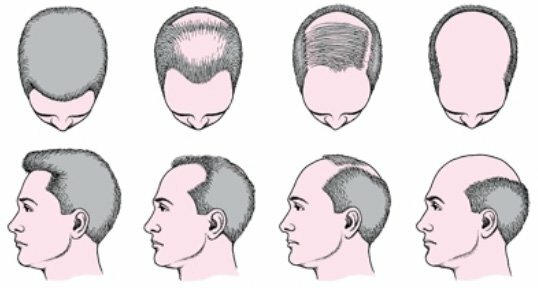 Hair loss leading to baldness is called Alopecia. Most people lose hair because they have inherited a genetic design that predisposes them for baldness. Hair loss can also be caused by underlying medical problems, drugs, infections and a variety of other factors. Medical problems that can cause diffuse hair loss include Stress, prolonged disease, anaemia, thyroid disease, connective tissue diseases (such as Lupus), severe nutritional deficiencies; mainly iron, calcium and vitamins deficiencies, crash dieting, surgical procedures, and severe emotional problems. In men, there are two types of the hair follicle which differ genetically. 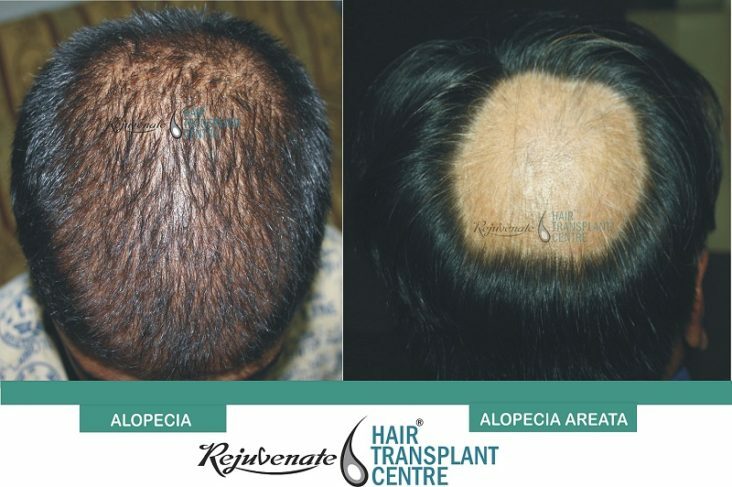 Hair follicles over front and crown have androgenic receptors while follicles on the back and both side of scalp do not have androgenic receptors. Under the influence of DHT, follicles with androgenic receptors first produce thinner, shorter hair with weaker shafts. Eventually, these follicles produce only fine, almost invisible, vellus hair, and they may die out altogether. Androgenetic alopecia requires three conditions: the genes for hair loss, male hormones in adequate quantities, and time.